Please note: The $18.95 price includes the shipping charge. By Ed Tobias, KR3E This small but solid guide is the perfect read for those interested in learning or improving CW operating techniques! Where and how to practice, practice, practice. Tips on Taking CW On the Road . . . and much, much more! The $20.95 price includes the CN/MX shipping charge! By Ed Tobias, KR3E This small but solid guide is the perfect read for those interested in learning or improving CW operating techniques! Please note: The $25.95 price includes the Foreign shipping charge. By Ed Tobias, KR3E This small but solid guide is the perfect read for those interested in learning or improving CW operating techniques! By Franz Langner, DJ9ZB NEW 4th Edition - 380 page book on CD! Known throughout the DX and DXpedition world as a meticulous and tireless operator, Franz Langner, DJ9ZB, is also noted as one of the most knowledgeable individuals in Amateur Radio in terms of documenting DXCC entities. This is the fourth edition of his series of books bearing the title DX World Guide. It was first published in Germany in 1988 and followed by a second edition, also in Germany in 1977. The third edition, published in the U.S.A in 2012 was the first to use color throughout. This fourth edition, also full color throughout, includes information on well over 300 DX entities. 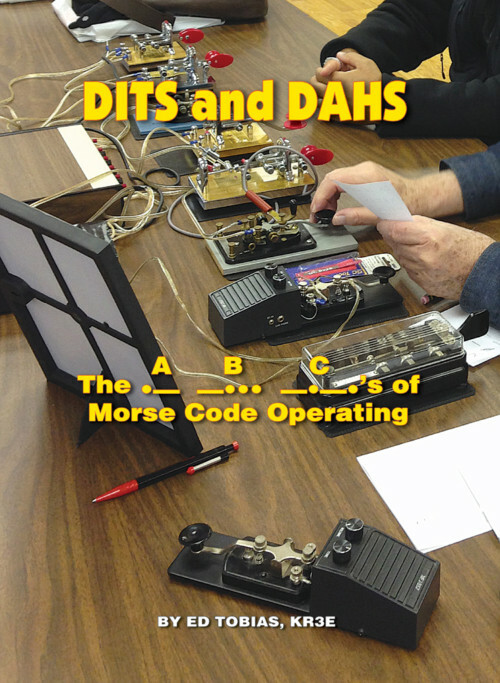 Whether used as a desk reference for the DXer of any level of proficiency or as a “wish book” for DXers just starting his or her DXCC journey, the new DX World Guide is a worthy and pleasant companion. By Franz Langner, DJ9ZB NEW 4th Edition - 380 pages! Known throughout the DX and DXpedition world as a meticulous and tireless operator, Franz Langner, DJ9ZB, is also noted as one of the most knowledgeable individuals in Amateur Radio in terms of documenting DXCC entities. This is the fourth edition of his series of books bearing the title DX World Guide. It was first published in Germany in 1988 and followed by a second edition, also in Germany in 1977. The third edition, published in the U.S.A in 2012 was the first to use color throughout. This fourth edition, also full color throughout, includes information on well over 300 DX entities. 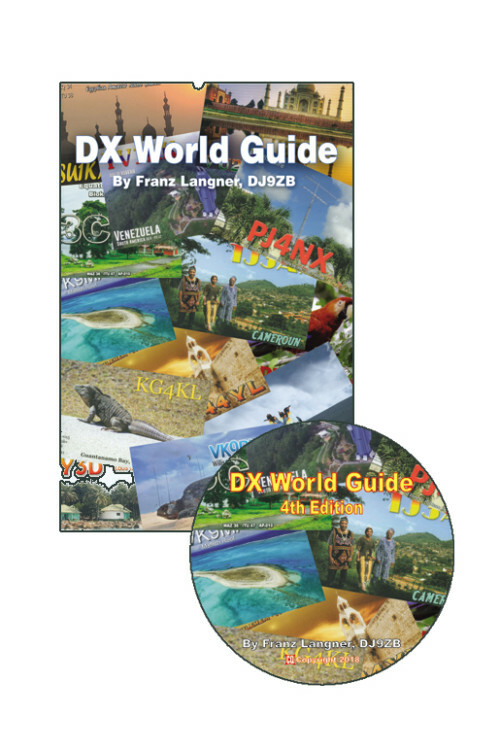 Whether used as a desk reference for the DXer of any level of proficiency or as a “wish book” for DXers just starting his or her DXCC journey, the new DX World Guide is a worthy and pleasant companion. The World Radio TV Handbook is the world's most accurate and comprehensive directory of global broadcasting. It contains full details by country of radio broadcasts and broadcasters on LW, AM (MW), SW and FM, and details of national TV. The features section in this 73rd edition includes articles on HF Curtain Arrays, Broadcasting for Peace in the Lake Chad region, the new MW transmitter installed by TWR Bonaire, and V7AB Radio Marshall Islands, as well as its regular Digital Update. There are also reviews of the latest equipment including the new Excalibur Sigma SDR from WinRadio, the Airspy HF+ and the handheld Pocket SDR from Reuter Electronik, and other articles, information and maps. 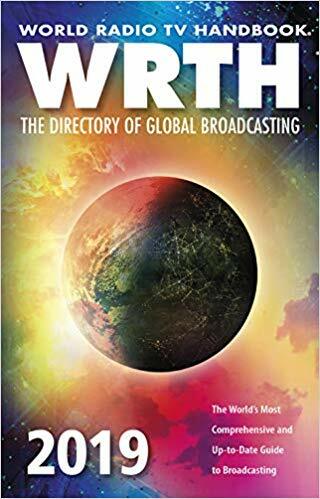 The remaining pages are full of information on National and International broadcasts and broadcasters, Clandestine and other target broadcasters, MW and SW frequency listings, and an extensive Reference section. By Franz Langner, DJ9ZB NEW 4th Edition COMBO - You'll receive both the 380-page, 6 X 9 Paperback and the Book on CD! 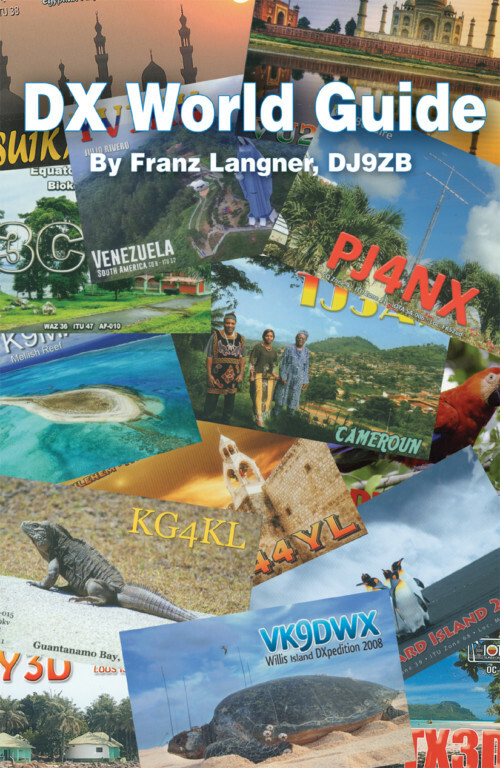 Known throughout the DX and DXpedition world as a meticulous and tireless operator, Franz Langner, DJ9ZB, is also noted as one of the most knowledgeable individuals in Amateur Radio in terms of documenting DXCC entities. This is the fourth edition of his series of books bearing the title DX World Guide. It was first published in Germany in 1988 and followed by a second edition, also in Germany in 1977. The third edition, published in the U.S.A in 2012 was the first to use color throughout. This fourth edition, also full color throughout, includes information on well over 300 DX entities. Whether used as a desk reference for the DXer of any level of proficiency or as a “wish book” for DXers just starting his or her DXCC journey, the new DX World Guide is a worthy and pleasant companion. Please note - choose a single item shipping charge for this combo!